Jordan B2B Making Debut Today! Jordan Brand is set to make trends once again with their latest installment of a new model that is set to make its debut today. Called Jordan B2B, this new model from Jordan looks very unique for you can’t determine if it’s a trainer, running, or lifestyle collection shoe. The Jordan B2B will be hitting the market today in Black/Vivid Pink – Anthracite – Imperial Blue and City Grey/Imperial Blue – Stealth – Marakesh colourways, which looks equally impressive. 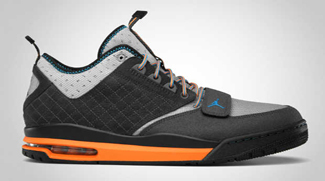 The shoe features a forefoot strap like the one applied on the Jordan Evolution 85 and also resembles the stitching used in Jordan CP3 IV. 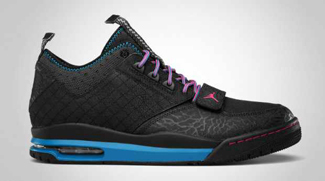 It also has a perforated upper part and air sole unit! This model looks very promising so don’t dare miss it!